Revealed by Nintendo today Fire Emblems’s Ike makes a return in the newest installment in the Super Smash Bros. franchise. 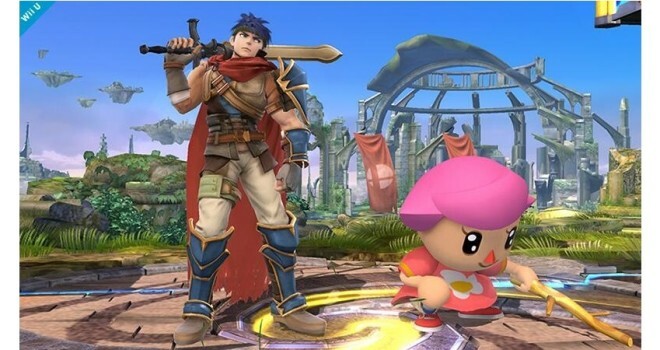 In the latest screenshots, Fire Emblem‘s Ike will be returning in Super Smash Bros. for Wii U/3DS. Ike was previously in Super Smash Bros. Brawl for the Wii. I’m sure many are happy for Ike’s return but I wonder why Nintendo didn’t chose the main character of Fire Emblem awakening, that way like Wii Fit Trainer, you could change your character between male/female. Also it would be something fresh to add to the new title. Super Smash Bros. for 3DS releases in Summer 2014 and Super Smash Bros. for Wii U will release later this year sometime in Winter.